Once again, Alabama Law Enforcement Authorities have arrested an entrepreneur, Harry Marion Autry, owner of The CBD Store, on November 18, 2018, and charged him with three counts of Distribution of a Controlled Substance (felonies), and possession of a controlled substance (felony). To make matters worse, they did so wrongfully. Law Enforcement Officers in Shelby County, the county SOUTHEAST of, and immediately adjacent to Jefferson County – where Birmingham, the state’s most populous city, is located – arrested the 38-year-old young shop owner for violating Alabama’s Controlled Substances Act, after sending samples of his wares to a state forensics laboratory for analysis. 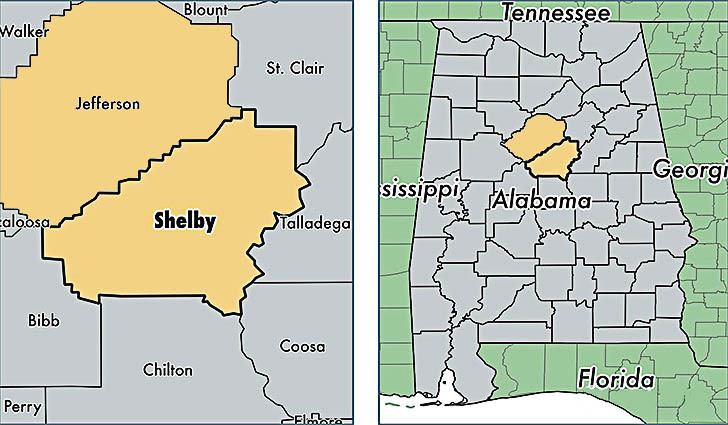 Compared to Alabama’s other 66 counties, Shelby County is more well-to-do (Shelby County’s median household income is $72,310, while the state’s median household income is $44,758), “well heeled,” more highly educated (41.4% of the residents aged 25+ have a Bachelor’s degree AT LEAST, while only 24.0% of the state at large does), etc., than almost any other county in the state. So, one would hope – indeed, expect – better, more well-informed Public Officials. But then again, the state continues reeling from the aftershocks of the corruption scandals of the convicted former Speaker of the House, Mike Hubbard, and a veritable host of other predominately GOP lawmakers who were similarly indicted, and either plead guilty to, or were convicted by Federal, and/or State authorities for numerous felony offenses, ranging from healthcare fraud, to mail fraud, and other corrupt, illegal and deceptive practices. Alabama, being what it is – an inflexible, hard-line, bipolar political state which has swung to the far end of the Republican political spectrum for many years – duly elected to a full term the weak, former Marshall County District Attorney Steve Marshall whom was appointed by corrupt Governor Bentley to fill the unexpired term of the Attorney General’s office vacated by Bentley’s appointment of Luther Strange to fill the unexpired term of Jeff Sessions, whom was nominated to be US Attorney General by President Trump. Just like voters did the same for Kay Ivey, the former Lieutenant Governor (who historically and practically has no influence upon state affairs) who succeeded to the Office of Governor upon Bentley’s resignation, for the final two years of his second, and final, unexpired term. One would rightfully, and justifiably be concerned about anything and everything done by the corrupt Governor Bentley – especially political appointments – and turned away such all such appointees during the General Election. But apparently, the state’s voters didn’t see things that way. The level, depth, breadth, and width of insanity, asininity and corruption in the state is quite simply, stupefyingly breathtaking. Now, back to the CBD thing. County Prosecutors in Lauderdale and Colbert County in the NorthWest corner of the state, similarly recently “cracked down” on CBD sales in that area. Now, Shelby County Law Enforcement officials have arrested another entrepreneur selling CBD. Frankly, all this is so unnecessarily confusing. Even Alabama’s Controlled Substances Act has such significant variability and discretion that criminal charges have used to include the weight of butter (it has been) in calculating criminal offenses. It’s the proverbial indictment of the ham sandwich. This tomfoolery of a law enforcement shell game could be absolutely, totally, and completely resolved fully and completely – 100% – by legalizing, taxing, and regulating cannabis for Medical, and Adult Recreational use. It’s just that simple. We’ve seen it before. We’re seeing it now. But Alabama is ever the “stick in the mud” – or pig sty – take your pick. While a third subtype – cannabis ruderalis – exists, it’s more like a dwarfed version which produces practically nothing of any value, so it’s largely ignored. 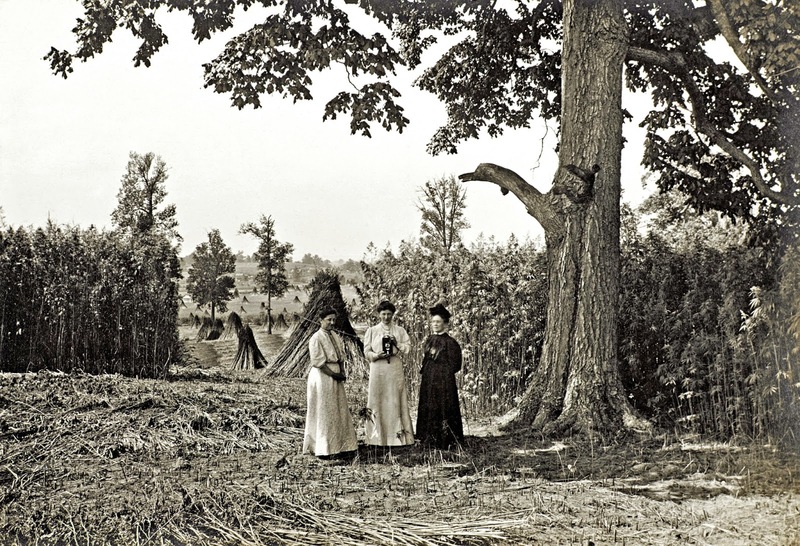 Women and hemp, date unknown, likely late 1800’s. Cannabis sativa, and cannabis indica are both called “marijuana.” By the way, the word “marijuana” is actually a derivative of a slang name given to it some years ago by Mexicans. It has more accurately been known for a much longer time by its proper name, cannabis. Hemp is also cannabis. Hemp is most often cannabis sativa, because the sativa variety grows very tall, spindly stalks. In contrast, cannabis indica is a short, shrubby type plant. 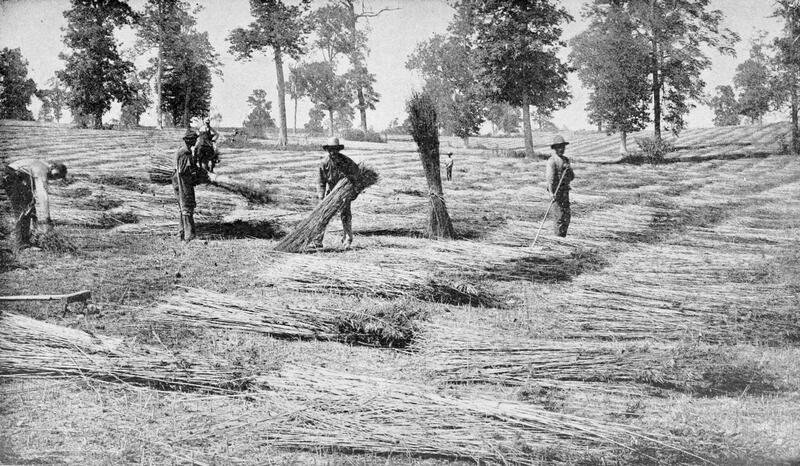 Spreading hemp to dry in Kentucky, 1898. Historically, hemp has been grown and used for its fiber content for eons throughout the world, and in America. And notably, during WWII, it was grown for rope production as part of the war effort by the tens of thousands of acres in Illinois and Kentucky. 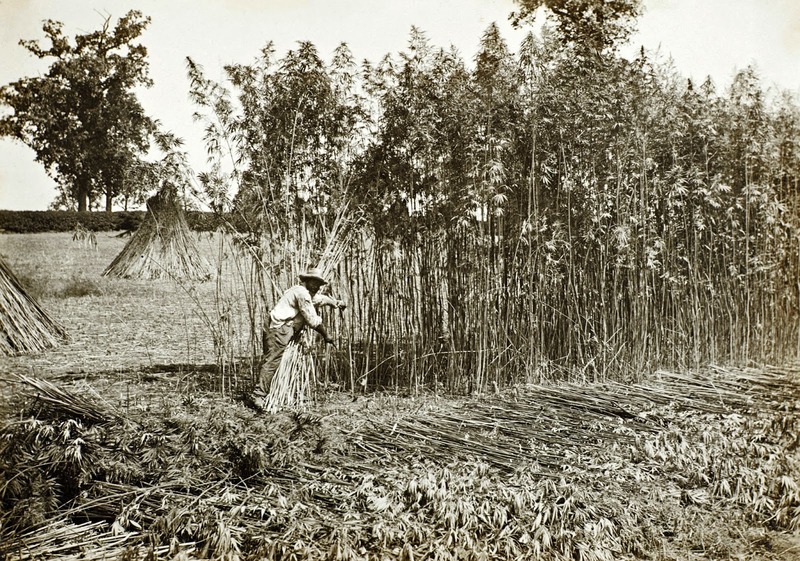 During that time, in 1942, following an embargo on the supplies of manila and abaca fiber used in rope-making supplied from the Philippines, the United States Department of Agriculture, produced a film called Hemp for Victory, which encouraged farmers – especially those in Kentucky – to grow hemp to help the war effort. It was seen as patriotic thing to do. Perdue University’s horticulture division has an extended excerpt of a very well-written book about hemp, Hemp: A new crop with new uses for North America,” published in 2002. But back to cannabis, marijuana, and hemp, and the confusion in Alabama about it all. Hemp, sometimes also called “industrial hemp” for clarification purposes, is Federally defined as the cannabis plant which has a THC concentration of less than 0.3% by weight. On the other hand, “marijuana” is defined as cannabis sativa (and cannabis indica) which has a greater THC content than 0.3% by weight. Marijuana is consumed for euphoric effects induced by THC. Marijuana has CBD -and- THC. Cannabis that has greater THC content than CBD content is typically “marijuana,” because the two strains are not consistent, and each strain (hemp or marijuana) produce one, or the other (CBD or THC) in greater abundance comparatively. Think of it like a rose. What if the so-called “medical marijuana” proponents could have their cake, and eat it to? That is, what if they could have the “benefits” they claim they derive from smoking marijuana, while NOT having its intoxicating effects? Would they still smoke it? That would tell the story. 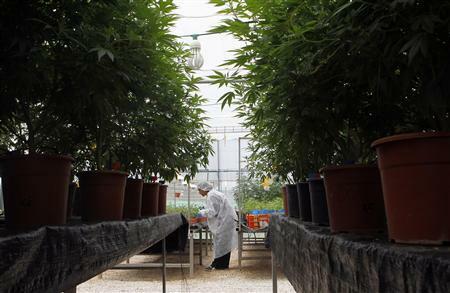 (Reuters) – They grow in a secret location in northern Israel. A tall fence, security cameras and an armed guard protect them from criminals. A hint of their sweet-scented blossom carries in the air: rows and rows of cannabis plants, as far as the eye can see. 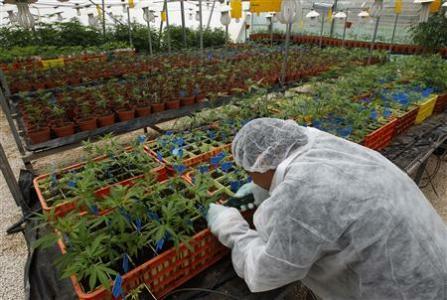 It is here, at a medical marijuana plantation atop the hills of the Galilee, where researchers say they have developed marijuana that can be used to ease the symptoms of some ailments without getting patients high. “Sometimes the high is not always what they need. Sometimes it is an unwanted side effect. For some of the people it’s not even pleasant,” said Zack Klein, head of development at Tikun Olam, the company that developed the plant. Cannabis has more than 60 constituents called cannabinoids. THC is perhaps the best known of those, less so for its medical benefits and more for its psychoactive properties that give people a “high” feeling. 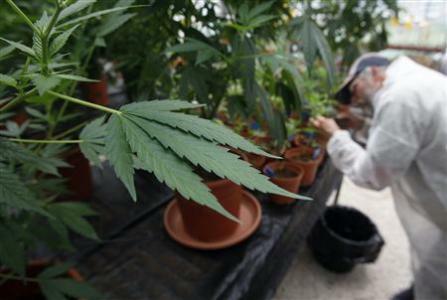 Research: Marijuana smokers (stoners) under influence longer, stronger & can’t drive safely. So much for the “pot never hurt anybody” crowd. It’s time to 1.) Call the dogs; 2.) Pee in a cup, and 3.) Mandate pre-licensing testing & renewal testing. But perhaps more than anything, this conclusively proves that the impairment effects of marijuana are more long-lasting than previously thought, or claimed by legalization proponents. So much for the folks who claim no one ever died while stoned from smoking pot, because there are clear cut examples of those who have been permanently injured by those who have taken the wheel after toking. (Reuters Health) – A new, small study suggests medicinal marijuana may impair users’ driving skills – but might be missed by typical sobriety tests. At doses used in AIDS, cancer and pain patients, people weaved side to side more and had a slower reaction time in the hours after using the drug, researchers from the Netherlands found. There is a significant and growing scientific body of medical evidence that marijuana use contributes significantly to schizophrenia – a particularly debilitating mental health condition that strikes during the most productive years of one’s life. Maybe you’d prefer your mental health, instead. It’s a shame that mental health professionals and other researchers in the United States almost wholly ignore the vast, longitudinal (long-term) and increasing body of evidence that conclusively demonstrates that marijuana DIRECTLY contributes to schizophrenia. Of course, the elemental breakdown between reality and perception most characteristic of schizophrenia does seem to be present in this latest (and I believe ill-fated) and contradictory decision by the Mexican government to legalize small quantities of all illicit narcotics, including cocaine, heroin and LSD. Complicating matters, the Mexican government has a long-time, well-known and rightfully-deserved reputation for corruption at all levels.